Meat heals? That is crazy talk, don’t we need vegetables? I went on an experiment to find out. I ate nothing but meat for 90 days and some interesting things happened. Some more interesting things happened when I stopped eating meat. My story about going on an ALL MEAT, 100% Carnivore Diet. I hope someone reading this will learn from my trials. I will have succeeded if one person takes action. I don’t want anyone to experience the pain and struggles that I have gone through. Since I was 12 years I have been on a perpetual diet. I hit puberty and plumped up. My family had an obsession with being thin and my mom was always on a perpetual diet. At 12 I started that rollercoaster too. My parents thought they were being helpful when they told me that they didn’t want me to get fat. According to the 80’s nutrition advice that meant I needed to cut the fat from my diet. I took the USDA’s advice and avoided ALL FAT. I have a family history of heart disease, so I avoided red meat and especially saturated fat. I ate cereal in the morning, sandwiches at noon, and pasta at night. I never reached my goal of being thin but I held off from obesity out of sheer will and determination. My whole life I never remember feeling good. I didn’t even know what feeling good felt like. I stayed on that trajectory through college. I was always watching my weight. I was on a ROTC Scholarship and in the Army National Guard. The thought of of losing my scholarship was terrifying. After my commission I joined the National Guard. I didn’t want to lose the GI Bill that was paying part of my tuition. I stuck to the low fat diet and counted calories. I met and married my college sweetheart. When I found out I was pregnant I decided to leave the National Guard. I didn’t have to watch my weight. I ended up gaining quite a bit of weight being pregnant. After having my son I never got down to where I was before becoming pregnant. Four years later I had my second son. I was even heavier than after my first child. When my youngest started school I decided to train for a marathon. I believed that running a marathon would make me thin. Life would be perfect if I could run myself thin. I trained for the marathon and followed the prescribed carb rich diet. I didn’t end up losing any weight during my marathon training. After the marathon I thought that I needed to do a triathlon, then I would end up thin. Nope, I was still fat. The triathlon training made me realize that I liked riding my bike. I took up cycling. I rode my first century bike ride. I was able to cover the distance but I was still fat. I enjoyed endurance training. I made many friends and loved training with them. I figured that I needed to ramp up my training. Of course, that must by why I was still fat. I wasn’t training hard enough. 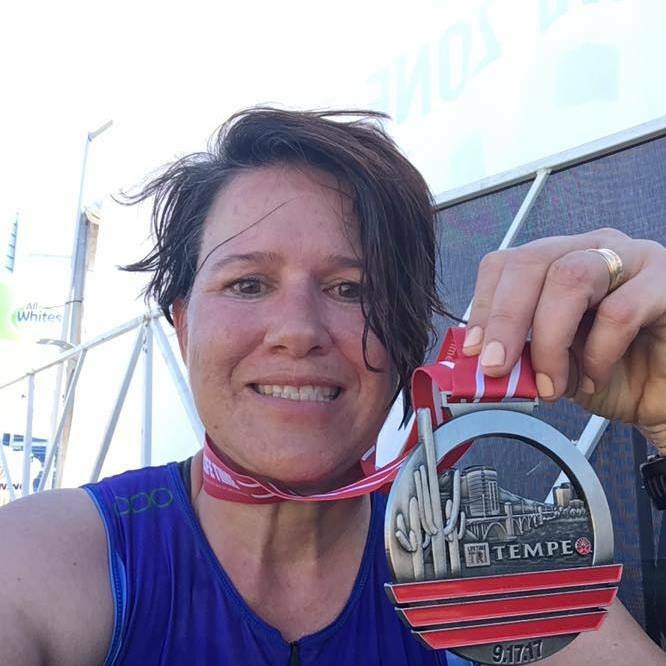 I started training for the 70.3 distance triathlons, then I worked up to an Ironman. After the Ironman I was STILL FAT…UGH! WTF! Do Calories Matter when Meat Heals? If the calories in/calories out model worked, I would be super thin. I was training 20 hours a week and eating less than 1500 calories per day. I had mild asthma that soon became chronic and uncontrolled asthma. I felt cold and exhausted all the time. I developed reactive hypoglycemia. On top of all that I still FAT. It became clear to me that I was doing something wrong. Hours and hours of endurance training and eating a low fat, high carbohydrate diet was not making me thin. I must be doing something wrong. I started reading about Scott Jurek, and ultra-marathon runner and vegan. I thought that was the answer, I needed to eat a vegan diet and train for ultra-marathons. The vegan diet was the last straw that broke the camel’s back. The vegan diet made my health worse. My asthma and allergies were worse. I added to my health issues horrible gas, injuries, and giant boils started erupting on my face. The one thing that stayed the same…I was STILL FAT! At that point, I sought alternative medical help. According to my regular doctor I was completely “normal” and nothing was nothing wrong with me. It is “normal” to have chronic asthma, a poor complexion, chronic injuries, and to be fat after doing an Ironman. A concerned friend referred me to Naturopathic Doctor (ND). She order a slew of blood tests. I was almost afraid she would say that there was nothing wrong with me. I thought if she said that I was healthy like my primary care doctor, then I must be crazy. I didn’t think it was normal to feel as bad as I did. The ND didn’t think I was healthy or normal. She measured my hormones, and informed me that I didn’t have any. My hormone levels were so low that they were not readable in the test. I hadn’t had a period in about year, and I thought that was from my birth control. But it was more likely from my poor diet and excessive training. Thought this process I became obsessed with learning how the body works. I became a ACE Personal Trainer, and read everything I could on health and nutrition. I gave up on endurance sports and tried Crossfit. That is where I learned about about the Paleo Diet and Robb Wolf. I also learned that Crossfit was doing nothing for my health. My hormones were still a mess. After 18 months I still felt like crap and decided to ditch Crossfit. How could I feel better? I started listening to podcast and found Ben Greenfield’s podcast. He talked following a low carbohydrate diet with endurance training. I joined Ben Greenfield’s Become Superhuman Coaching program. Courses and certifications with the C.H.E.K. Institute were quite different from the USDA advice. Switching from my low fat diet to a Paleo Diet allowed by body to start to heal. Then I switched to a low carb Paleo Diet. I started seeing better results. My gas subsided, my face cleared up. Over time my allergies went away and then my asthma disappeared. I went from a size 16 to a size 12 with the Paleo diet. It was nice to start shrinking, dropped from a size 12 – a 10 following a low carb Paleo diet. At the Become Superhuman Conference and met Peter Defty from Vespa Power. We soon became great friends because of our obsession with nutrition research. Peter referred me to Esmee La Fleur’s website Zero Carb Zen. I started an on again/off again Zero Carb/Carnivore Diet. I started to feel better and dropped to a size 8. Even though I had good results with a zero carb diet I had problems sticking to it. I had such a hard time saying ‘NO’ to food in social settings. I felt like I was being rude. It wasn’t until I participated in the Carnivore Study that I felt empowered to say no. 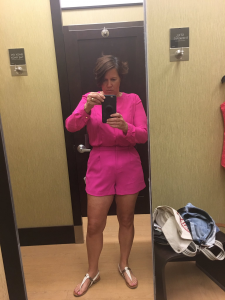 I dropped from a size 8 to a size 6 during the 90 day Carnivore Study. I also felt WONDERFUL!!! I returned to my my love of cycling. I train every year with a group for Tour de Tucson. The bulk of my training this year was during the Carnivore Study. I didn’t want to mess up the study results so I stuck to Zero Carb. Meat sticks fueled my long rides. I added Sports Legs, electrolytes, and salt to combat leg cramps. The lack of carbohydrates didn’t hurt me. I had a personal record at the last Tour de Tucson. My average pace in 2017 for 54 miles as a Carnivore was 18:45 mph. My average pace while still using carbs in 2012 for 60 miles was 10:06 mph. Over the holidays I had a relapse. I ate too many chips, salsa and margaritas on a trip to Mexico. My size climbed back to a size 8. But what was most pronounced was how horrible I felt after my trip. I couldn’t believe how fast I went from feeling amazing to feeling like crap. I am back to a Carnivore/Zero Carb way of eating since January 2nd. Since then I continue to get faster on my bike. My functional threshold power (FTP) when I was low-carb/Paleo was 135, now my FTP is 201. My FTP keeps going up! The carnivore diet is a miracle for my health. It feels good to wear a size 6 when I started on this journey I wore a size 16. Having hormones is wonderful, I had no readable hormones and no menstrual cycle to having a regular 28 day cycle. As a high carbohydrate athlete I was spending $80 a month on asthma medications. Since changing my approach I am not on any medications now. I am 48 years old and don’t have six pack abs…yet. I have never felt better in my life. The journey continues, I still have extra fat to lose and more healing to do. I went from a lifetime of struggling with my health and weight to feeling good each and everyday. Soon, I expect to see those six pack muscles to show up. MEAT HEALS no matter how old you are or where you start. Check out these other amazing results at the MeatHeals website. If you are not seeing the results that you would like, maybe you would like to try an all meat diet too. Want to know more about a ketogenic diet for endurance athletes? Find out more about when to eat what. Want to find out more. Check out my Fitness Basic Course. Hi, My name is Coach Stephanie Holbrook. I learned how to regain my health and turn back the clock. I now help endurance athletes show you everything you need to maximize health, performance and a younger feeling body.